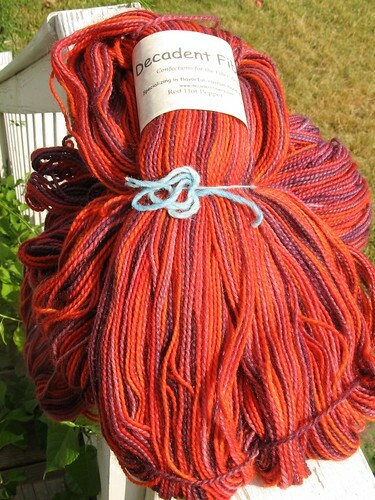 I bought the yarn at half off at the Loon Mountain Knit-In. 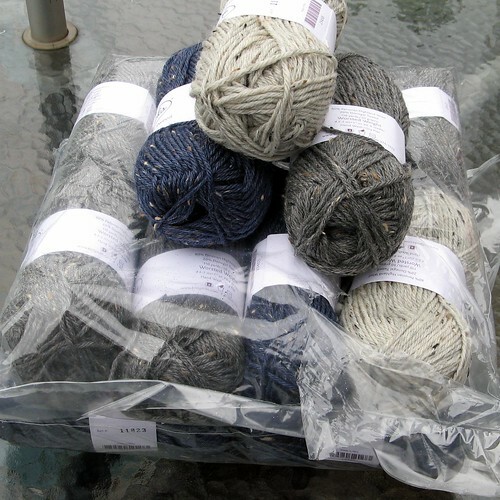 I only have two skeins — about 980 yards. 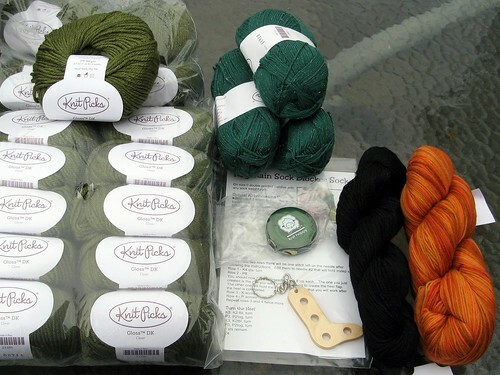 The label claims “DK” — but I have to say it looks and swatches a lot like worsted. Of course the swatching caused both my boxes to arrive the very next day. Mission accomplished! 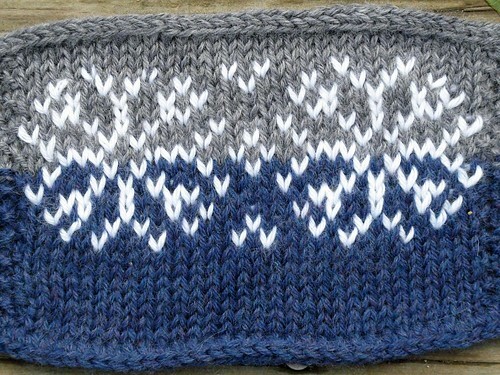 The other box from KP is for my “Flurry Pullover” prototype. KP accepted my proposal, and this is my delightful WotA Tweed! I have swatched, waited impatiently for the swatch to dry (rainy weekend here), cast on, and knit the bottom 3-4 inches of the sweater. 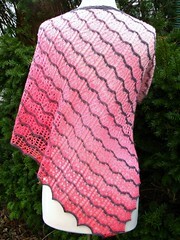 This sweater must be my knitting focus for the next few weeks. My goal is to knit through one ball of yarn per day — that should get this sweater done lickety split. Then “all” I have left is testing. oh my, lovely colors and so much yarny goodness. Good luck with the sweater knitting!